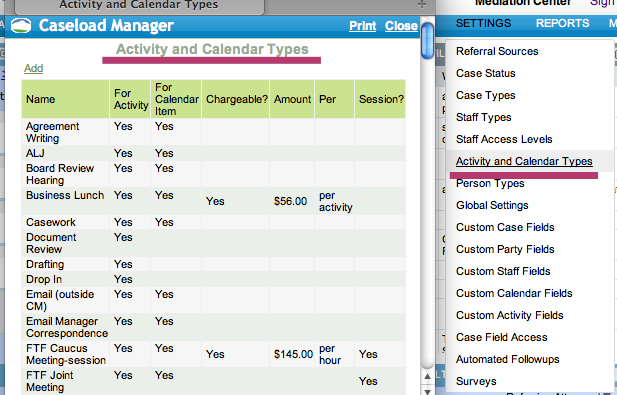 The SETTINGS menu is for the building and customiziation of your Caseload Manager. 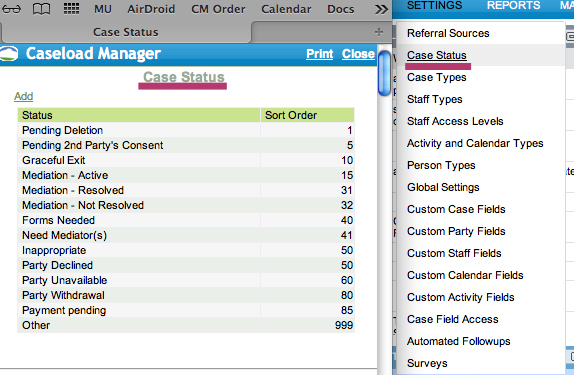 The CASE STATUS menu is useful to keep track of your cases and to easily categorize their outcome when you are compiling final reports. 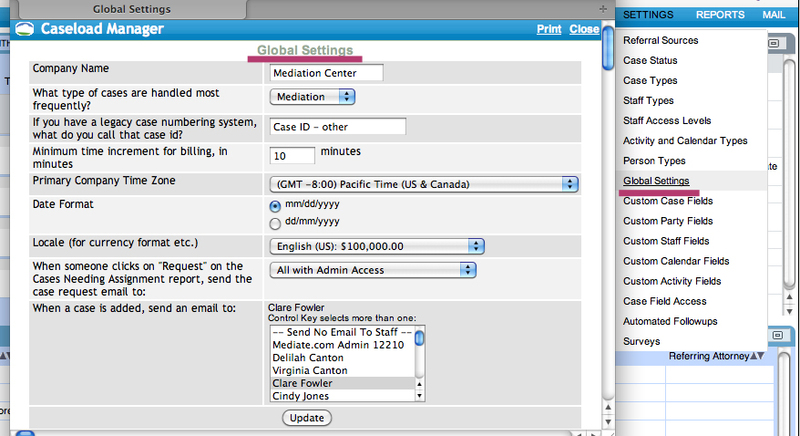 To add a new designation, select the ADD button, input your new designation, and then add the appropriate Sort Order. Clicking on STAFF ACCESS LEVEL and then ADD at the top of the window will allow you to setup additional levels of access. 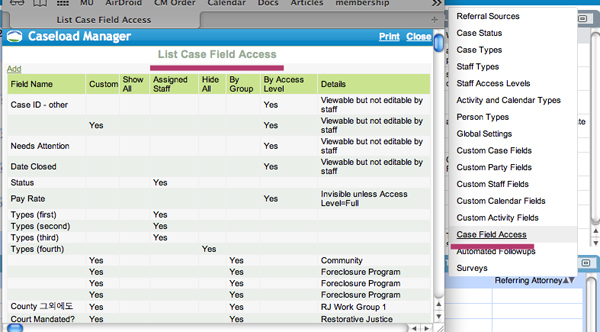 After you have created your desired Staff Access Names for your system, you then click on each group to set their level of accessibility in Caseload Manager. 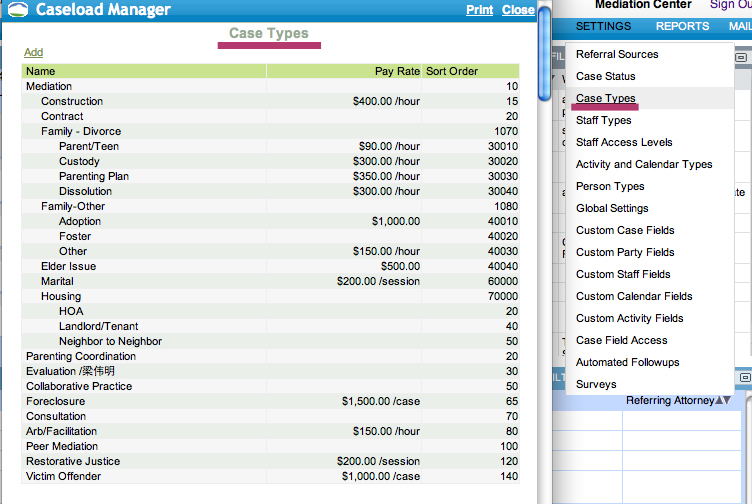 CASE FIELD ACCESS allows you to further customize the Case Fields included in the main Case form. 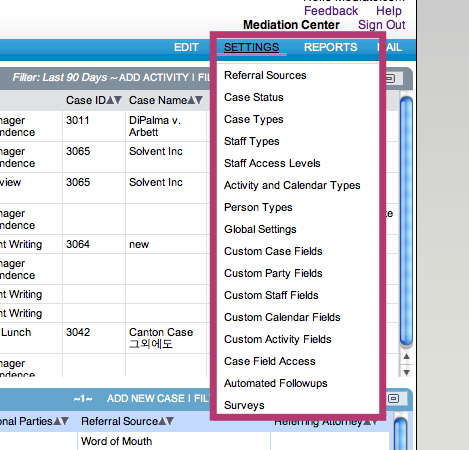 This gives you the ability to rename default case fields and determine the visibility/edit capableness of specific case fields for staff. 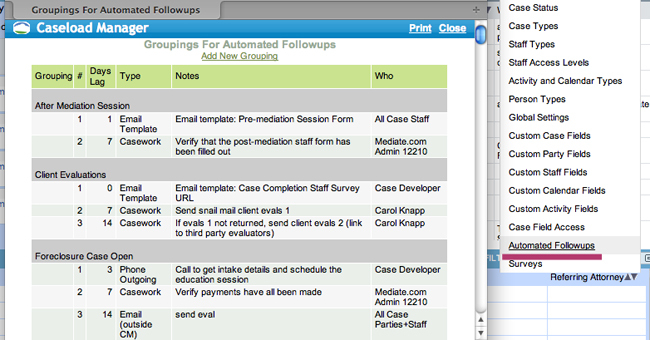 Automated Followups will allow you to create template emails and calendar items.